For 7 straight seasons the Rockets were in the top 5 in defensive field goal percentage, establishing a reputation as a tough, gritty team capable of beating any squad, any night. 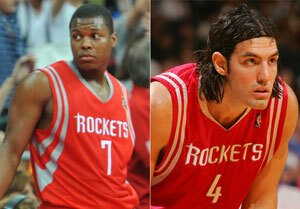 After losing both Ron Artest and Yao Ming last season, that changed in a hurry. Houston slipped to 23rd after allowing opponents to shoot 47.5% for the year, and even worse (48.7%) in the 24 games Kevin Martin was with the team. 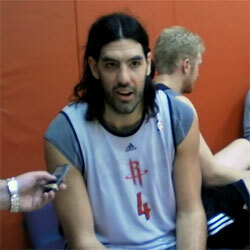 Luis Scola believes the Rockets need to get back to what they once did best. Scola thinks it can happen, in large part because of his faith in what Yao Ming will eventually be able to do — even under a 24-minute per game time limit.